Department of Family Medicine and Emergency Medicine, Université Laval, Quebec City, Quebec, Canada. Société Française de Médecine Générale, Issy- Les-Moulineaux, France. Clinical Epidemiology and Ageing Unit, Université Paris-Est Créteil, Créteil, France. Flowchart of patients in the study. 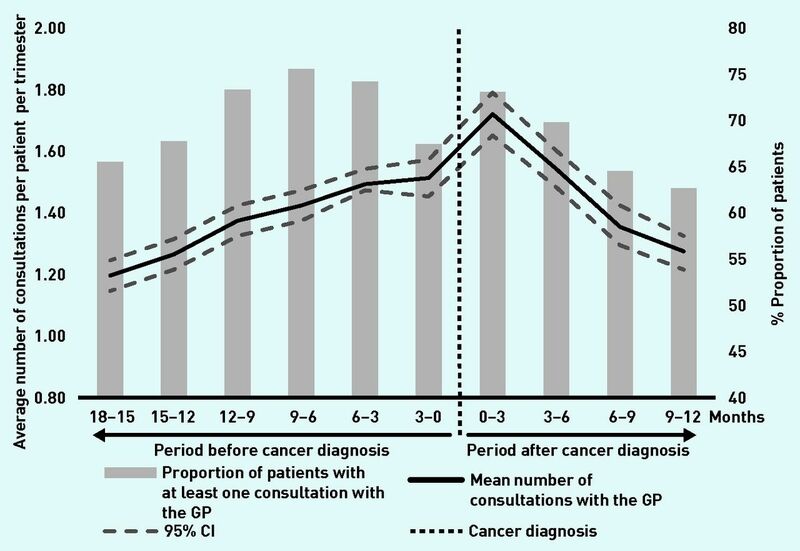 Number of consultations and proportion of patients with at least one consultation with the GP per trimester. ↵a Cuzick non-parametric test for trend across ordered groups. ↵b Analysis of variance test. ↵d Available data for this variable. ↵e Standard of living: Institut National de la Statistique et des Etudes Economiques [National Institute for Statistics and Economic Studies] 2013 median standard of living for the GP’s city of practice, used as a proxy of the patient’s living conditions. SD = standard deviation. ↵b Wald test. COC = continuity of care. OR = odds ratio. SD = standard deviation. 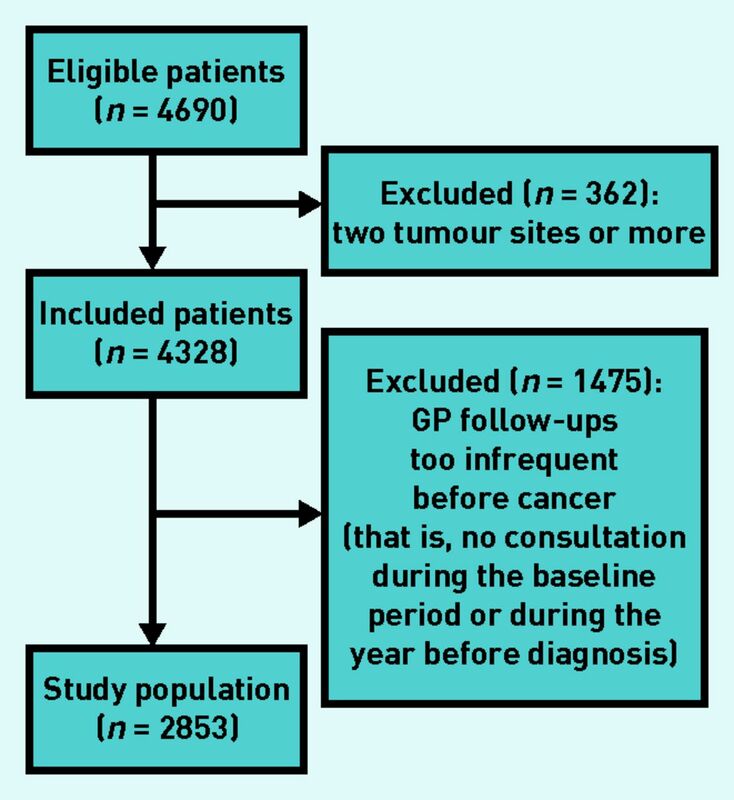 ↵c Weight of metastasis in comorbidity score was 11 points. COC = continuity of care. OR = odds ratio. SD = standard deviation. ↵a Multivariate logistic regression. COC = continuity of care. OR = odds ratio. SD = standard deviation.